Artamus minor Vieillot, 1817, Shark's Bay, Western Australia. Two subspecies. 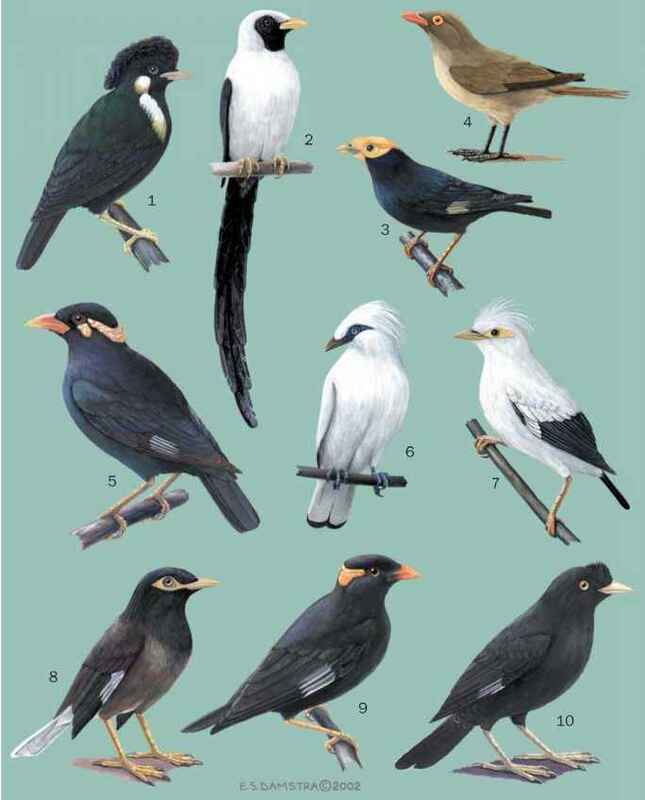 French: Petit Langrayen; German: Zwergschwalbenstar; Spanish: Golondrina del Bosque Pequeña. 4.7-5.1 in (12-13 cm); 0.5-0.6 oz (13-16 g). Chocolate-brown body with dark gray wings and tail; tail spotted white at tip. Juveniles brown and streaked. Australian endemic. 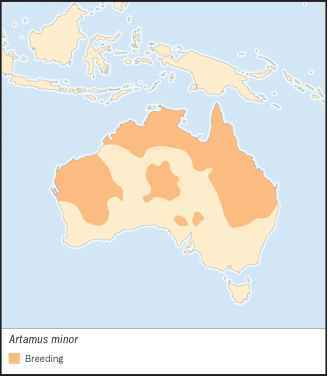 A. m. minor is found in Western Australia, and the central arid regions of northern Southern Australia and southern Northern Territory. 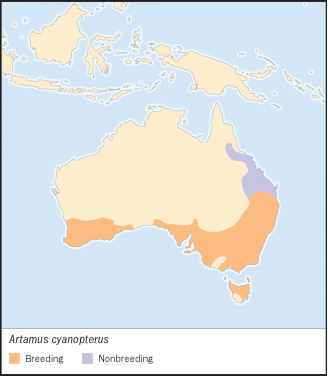 A. m. derbyi is found in northern Australia from northern Western Australia to northern New South Wales. Rocky outcrops and gorges, in open arid woodland and acacia scrub. Sedentary over much of its range. Some eastern populations are nomadic and may be locally migratory. Lives in family groups of up to several dozen birds. Roosts communally. Voice consists of soft contact calls. Sweep flying insects around cliff faces in flight. Will also forage on ground and glean foliage; sometimes take nectar. Nest is built by both parents and is a flimsy cup tucked in a rock crevice or stump. Clutch is two to three splotched white eggs. Both parents care for young.